This is true. 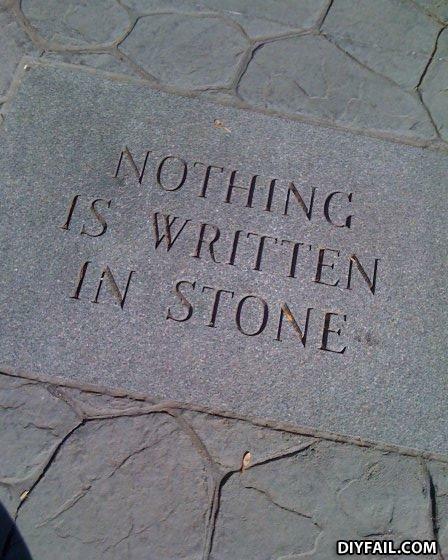 The word "Nothing" is, in fact, written in stone. -Writes "Nothing" in stone- Your right! It is!